The tunnels from Pudding Mill Lane to Stepney Green (and also that from Victoria Dock to the Limmo Peninsula) were bored by two TBMs called Jessica and Ellie. They were named after Olympic heptathlon champion Dame Jessica Ennis-Hill DBE and Paralympic swimming star Ellie Simmonds OBE. These were the only two machines to bore two separate tunnels. Students from Marion Richardson Primary School in Stepney suggested the names ‘Jessica’ and ‘Ellie’ for the final two of eight Crossrail tunnelling machines. 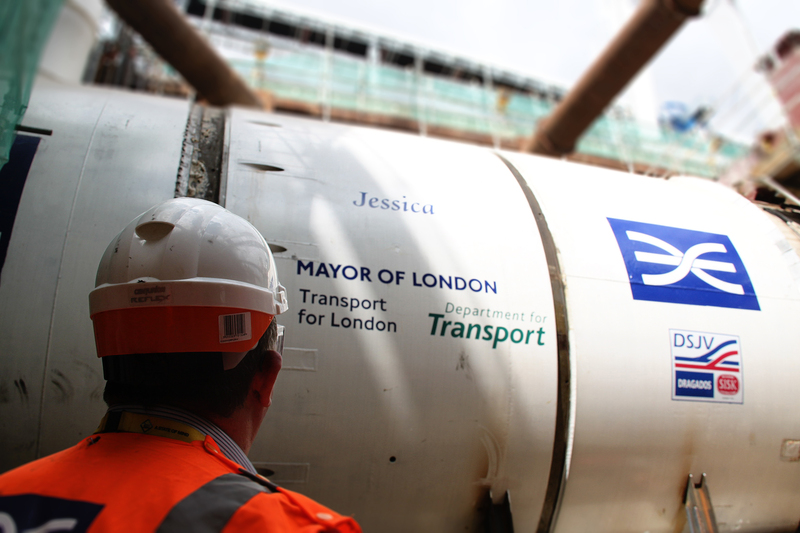 Named after Olympic champion Jessica Ennis-Hill CBE, Jessica, the 1,000 tonne tunnel boring machine, was the first to begin her journey launching from the pre-constructed Pudding Mill Lane portal towards Stepney in August 2013. She was closely followed by sister machine Ellie, named after Paralympic gold medallist Ellie Simmonds OBE, who launched in February 2014. 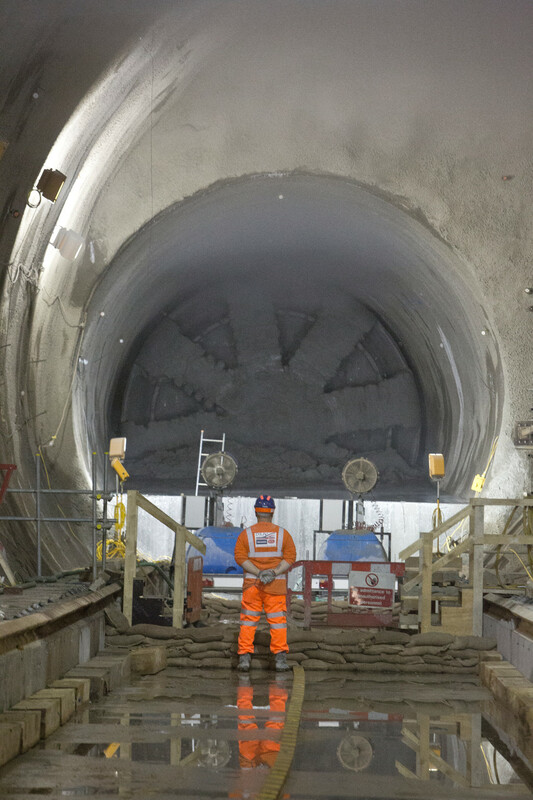 Tunnel boring machines Jessica and Ellie completed their 2.7km tunnel drives from Pudding Mill Lane portal near Stratford to Stepney Green in February 2014 and June 2014 respectively. Living up to their namesake’s reputations, Jessica and Ellie both recorded Crossrail’s highest rates of tunnel production. 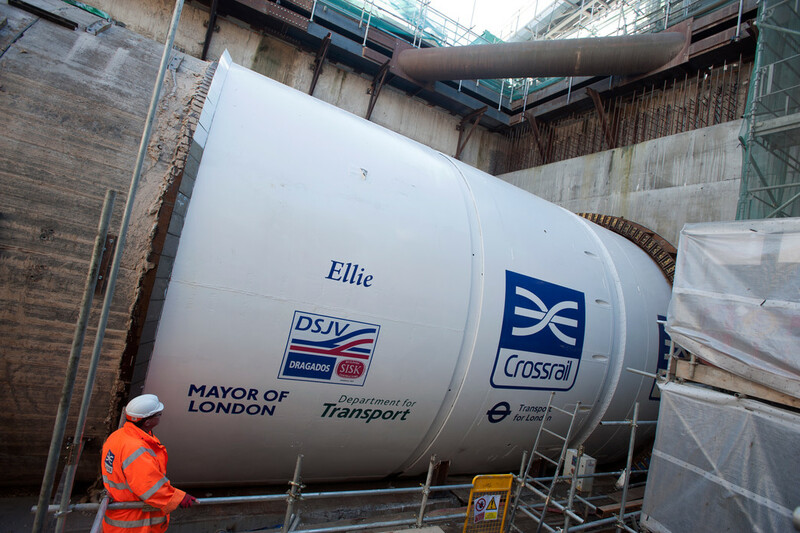 On 16 April 2014, Ellie tunnelled an incredible 72 metres in just one day on her drive between Pudding Mill Lane and Stepney Green. That is almost double the collective average speed for our tunnelling machines of 38 metres per day. Once the machines arrived safely into the cavern at Stepney they were dismantled, lifted out of the shaft in pieces and then transported by road to Crossrail’s Limmo Peninsula worksite. The machines were then lowered below ground in pieces, re-assembled and used to construct the tunnels between Limmo and Victoria Dock Portal.